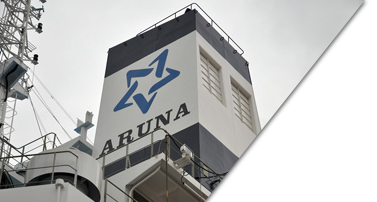 ARUNA Shipping Ltd. Co. was founded as drybulk ship-owner and management company in 2010 with the intention to engage in the management of ocean-going bulk carrier vessels. The family-owned company operates a modern fleet of three Hyundai Supramax bulk carrier vessels which are in size of 56,000 dwt and are being kept employed by worldwide trading. ARUNA Shipping's target is to be a leading and a reliable company in sea transportion and primarily focused on modern Supramax and Handymax bulk carrier fleet in the shipping market. These managed vessels are able to trade worldwide with high quality standards and competitive Cargo advantages for the esteemed charterers. The Company's headquarters is located in Istanbul, Turkey.